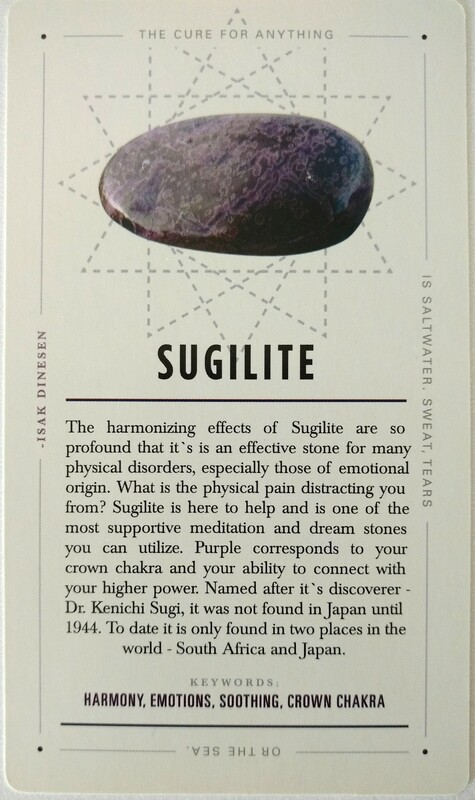 “As a Polarity Therapist I’ve created the thing I’ve always wanted for myself and clients: Cards that help create a deeper connection to the healing and spiritual energy of crystals. 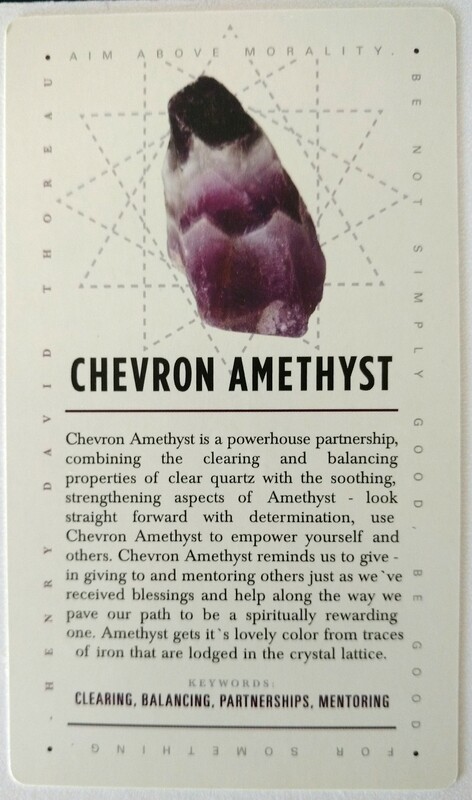 After admiring the Lavish Earth Crystal Affirmation Cards from afar for several months, I received a copy as a gift from a dear friend! 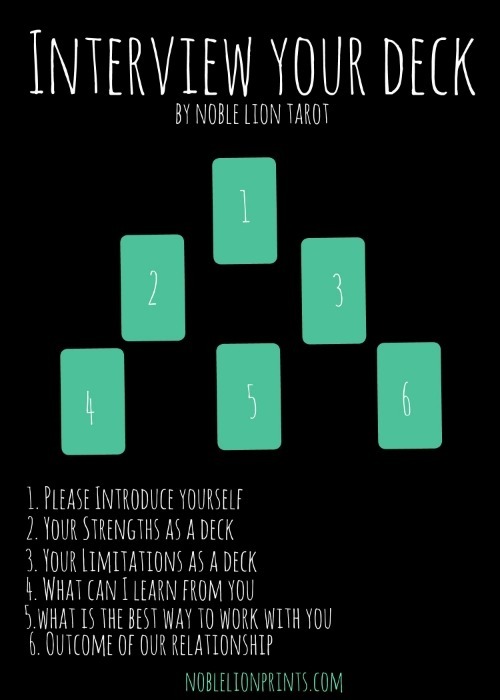 (A guide to all previous deck overviews can be found here.) I’m so impressed with this deck, and have really been looking forward to posting about it. Let’s get to it! Guidebook information: None, since the card meanings are written on each card. General impressions: This deck is so high quality! 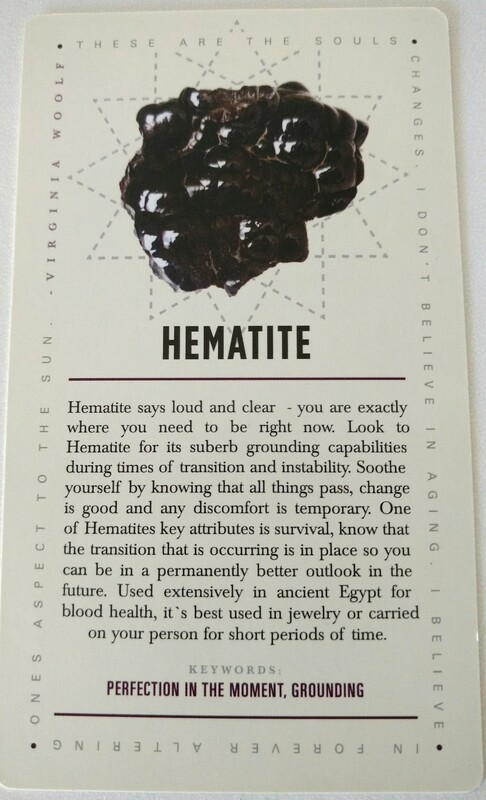 The pictures are beautiful, and the layout on them fits the descriptions and pictures together so well that I’m perfectly fine with having the meanings written on the cards rather than collected in a traditional booklet. 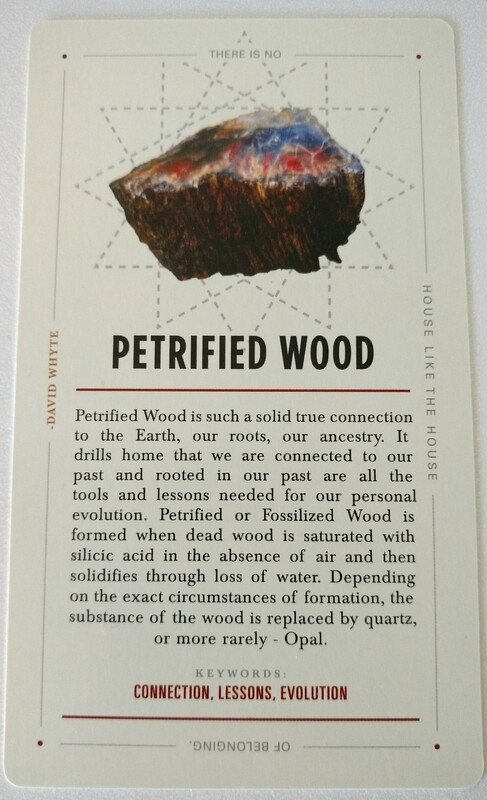 The card quality and box are really high quality, and it’s become my go-to example of my dream deck properties–ideal size, ideal card stock, ideal box. 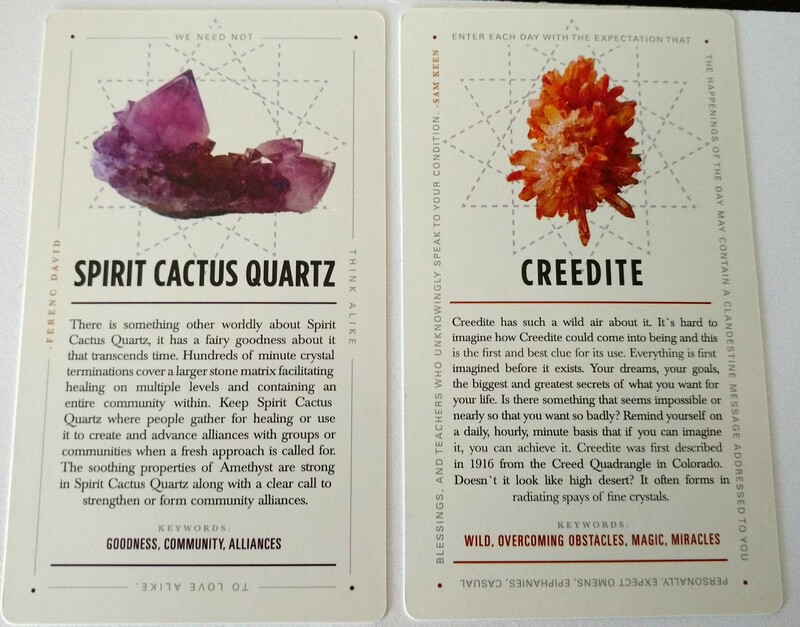 Each deck also includes a random crystal with a note about its properties, which I thought was a really sweet touch. 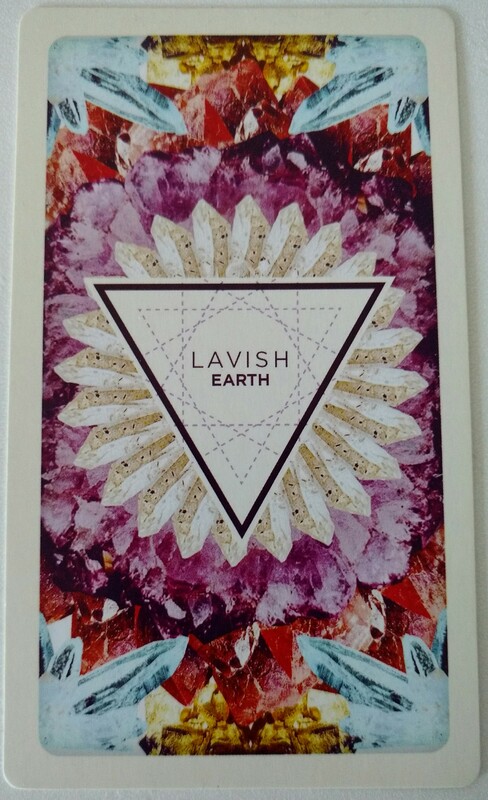 I’d definitely recommend Lavish Earth’s deck to anyone who wants to learn more about crystals, or who wants to work with crystals and oracle cards more in general, or who just wants a beautiful new oracle deck in their collection! Do you have any more questions about this deck? 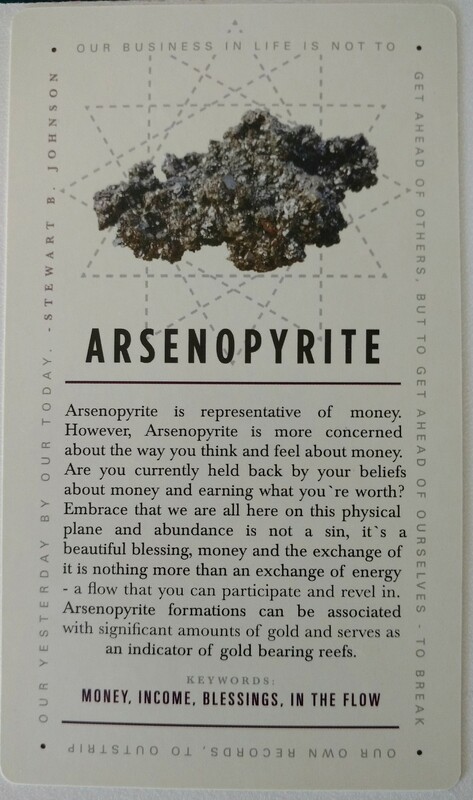 Do you own it, or are you thinking about buying it? Do you have any recommendations for me based on this deck? Let’s discuss!